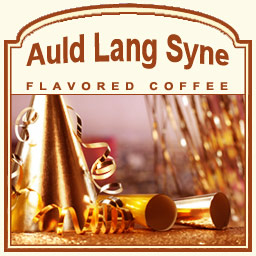 You can ring in the New Year year-round and whenever you want with this Auld Lang Syne flavored coffee. As a delicious creation of dessert-inspired flavors, this holiday flavored coffee will offer you a rich treat with its hints of delicious brownies, crunchy maple walnuts, hearty hazelnuts, and Southern pecan undertones. Although these flavors are savory, you don't have to worry about over indulging in this 2 calorie per cup creation. 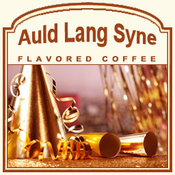 Made with 100% authentic Arabica beans, this Auld Lang Syne is a truly decadent treat. Roasted and shipped on the same day, this Auld Lang Syne coffee is available year round and packaged in a heat-sealed valve bag. Go ahead and raise your mug for this joyful celebration of gourmet flavored coffee!